that is funded by our accommodation, restaurant, gift shop and cooking classes. 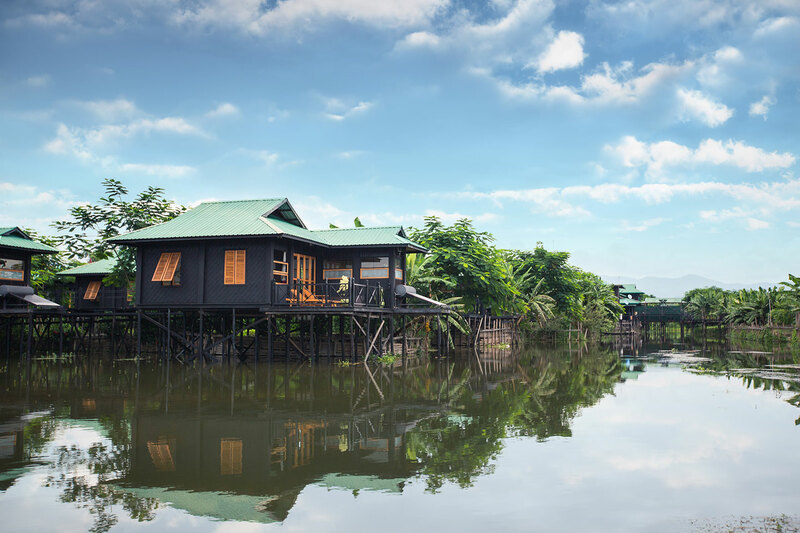 Stay in your own stilt house nestled in the heart of Inle Lake. 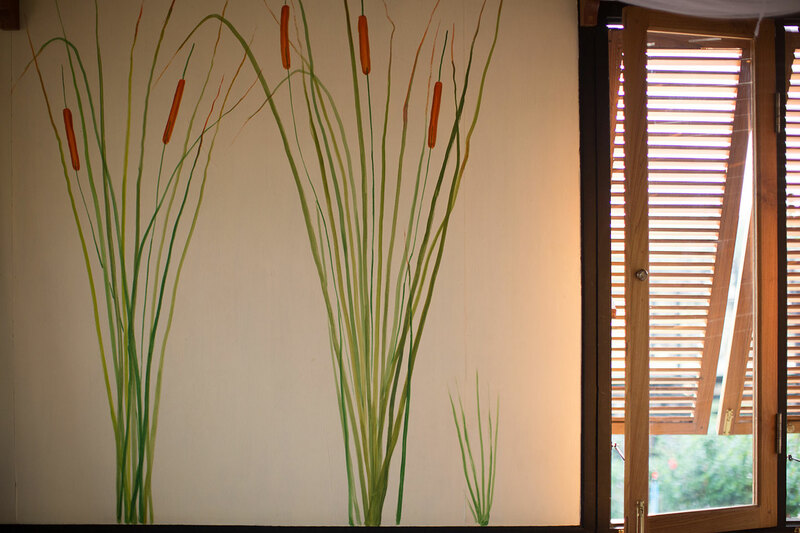 Surrounded by lush Shan hills, immerse yourself in Inle's culture and relax in our cozy rooms. 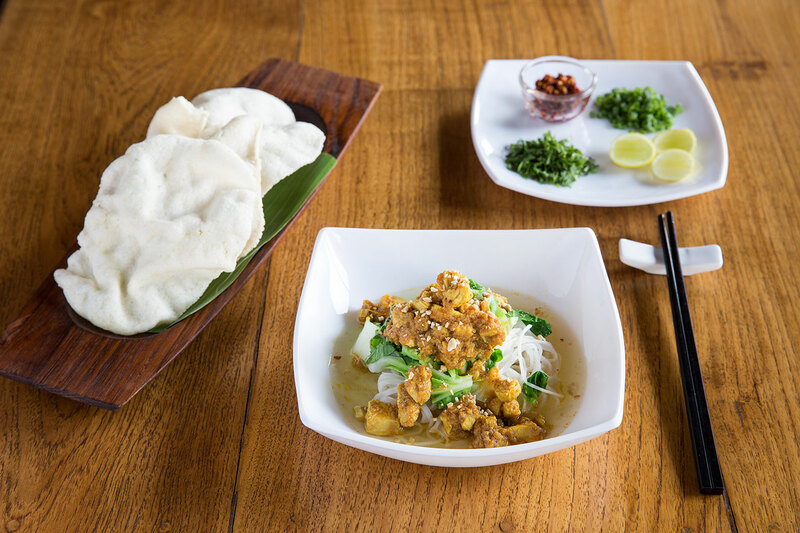 Inthar and Shan dishes created from time-honoured recipes. Inspired by our grandmothers' homemade cooking, passed down from our ancestors and cooked with fresh ingredients from our garden. Explore the famous Inthar cusine, from the garden to the kitchen. 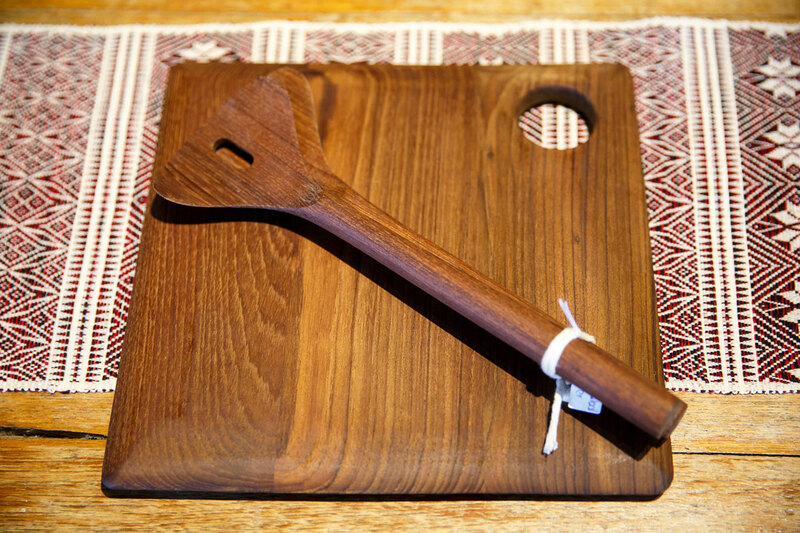 Learn how to cook our tastiest traditional dishes and take home a rare skill to share with your friends. You can bring our recipes home with you! Our cookbook was written with tidbits of local history and quotes from our grandmothers. Pre-order a copy before your trip. 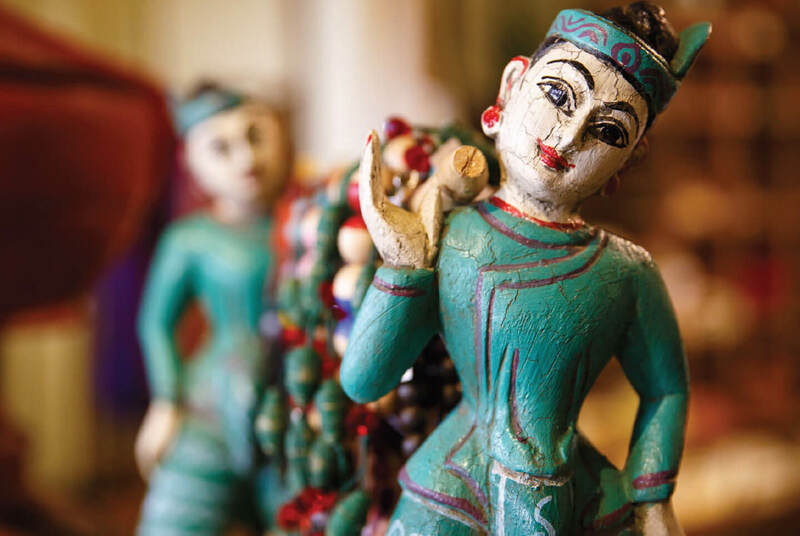 Take home exceptional, hand-crafted goods that support local artisans from all over Myanmar. 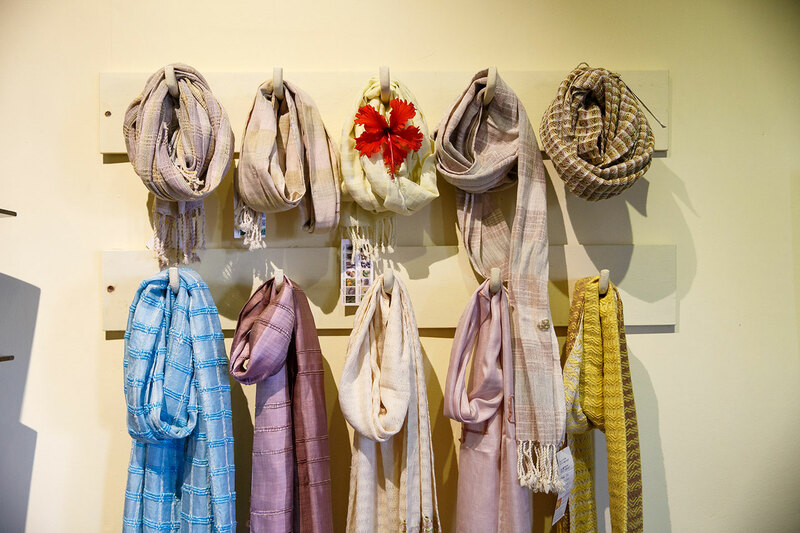 All merchandise is sourced from social enterprises that advocate issues close to our heart, such as artisan and women empowerment, education and employment. Want to cuddle with cats? 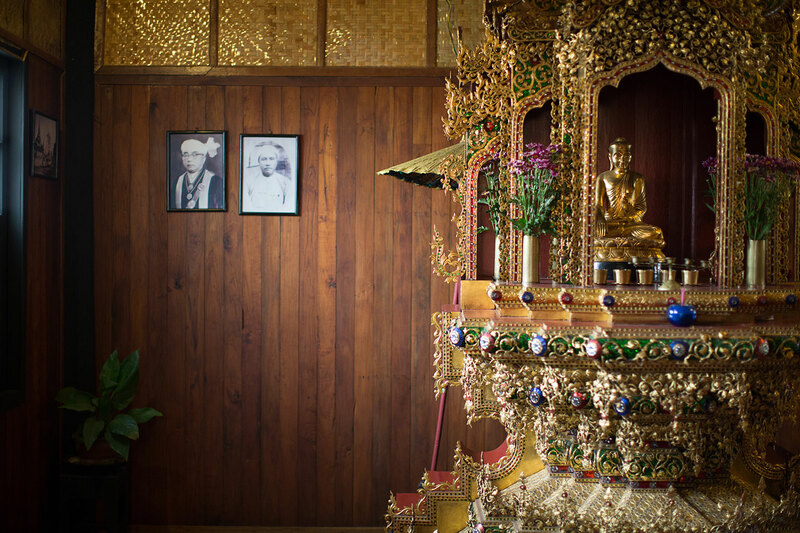 Inle Heritage offers guided tours of our projects, including the beloved Burmese cat sanctuary. Reserve your spot today! 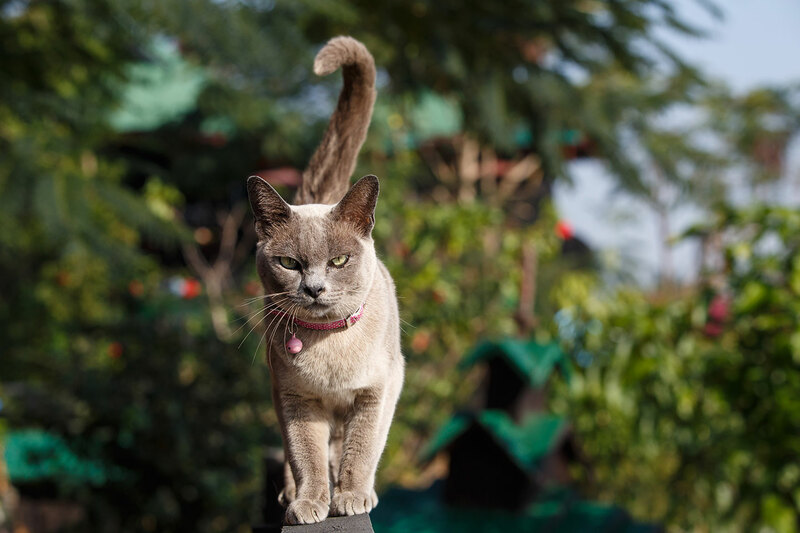 It all began with seven adorable pure-bred Burmese cats that were brought from England and Australia. Today, the organization has grown to focus on the people, nature and culture of the whole region with heritage and conservation projects. 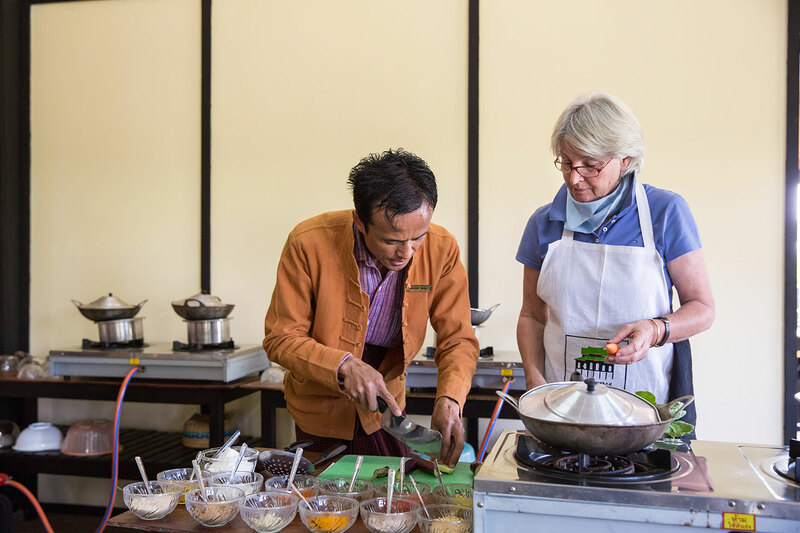 Inle Heritage Foundation's work currently includes vocational training and schools, good agricultural practices, aquatic life, Burmese cat breeding and water and waste management. We are proud to create future leaders and revive sustainable practices for the next generation. We believe investing in our youth with education will build generations of independent thinkers. Our vocational and private school are alternative, progressive programs that pass on an appreciation for sustainability and heritage. As families pass down traditions, some stories get forgetten and the ways of doing are lost forever. We preserve our lake's cultural heritage with Inthar traditional architecture, food and photographs. Our team has produced media that shares our stories with new audiences around the world. The lake is the community's main source of income and survival. Our aim is to conserve the wildlife and educate the community about earth-friendly habits. By practicing waste management, reintroducing Burmese cats and educating people about endemic fish, we hope to sustain Inle lake's natural beauty. 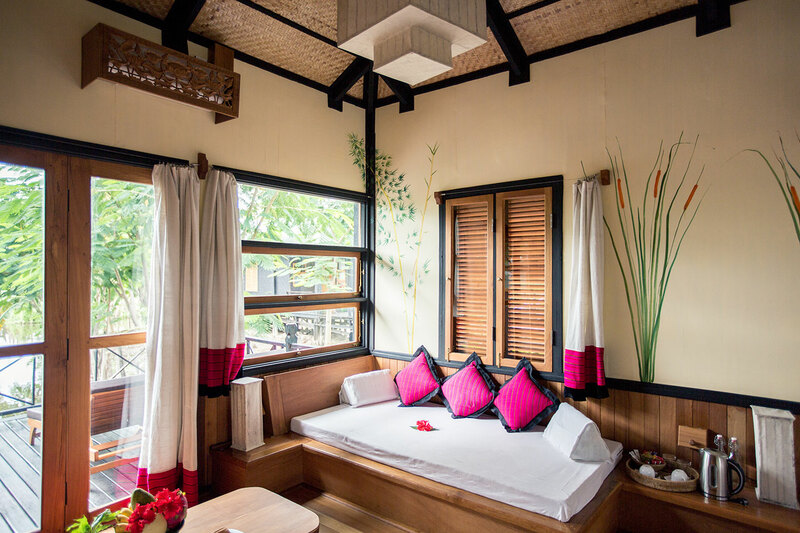 A perfect place to finish a Lake Inle boat trip on, to rest for a while, watch the sun set, eat dinner and then fall asleep ... in one of the 10 bungalows. Wake up early, see the mist rise from the water, have a great breakfast and then see the activities start on the lake again. Just wonderful! We had a great stay. The hotel is also part of a hospitality school so there was a large number of staff and students on hand all the time... We got tons of attention and help from everyone. Vegetables for meals come from an on-site garden that the hotel maintains and the food was all delicious and very reasonably priced. 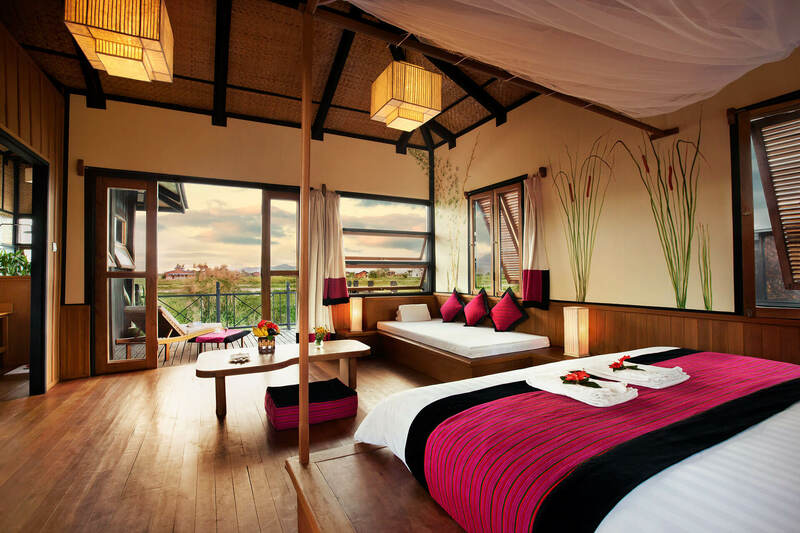 The Stilt Houses bungalows have a fairy tale like quality, offering comfort, beauty and serenity to those looking for the ideal escape from the city. Inle Heritage not only role models what a social business can operate like in Myanmar, but also trains its people to think differently, be curious, and challenge prevailing status quos, while also advocating for the preservation of the rich heritage and ecosystem endemic of the Inle Lake region. This is a place you dream of and hope to find in your travels.It is away from most of the crowds..
- the delightful staff, so professional, skilled and nice, will stay in our memories forever! We felt like home and all the staff deserve a LOT of credit for their hard & generous work everyday there and all the small attentions they craft everyday!! Could not imagine a more beautiful, thoughtful or authentic introduction to the area. Can not recommend it highly enough. 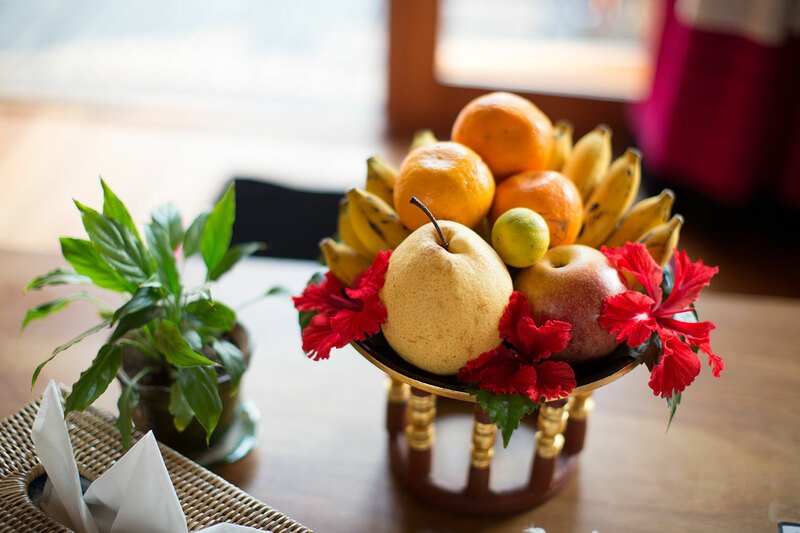 Its boutique dimension ensures an exclusive and personal experience with the staff but also with the students of the hospitality academy that bring life to the place and make it so much more than a regular hotel. You will receive a confirmation email if your pre-order had been approved. take home a rare skill to share with your friends.